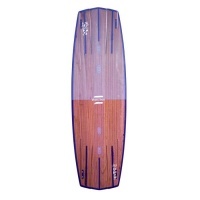 These are a selection of the kitesurfing boards that we stock. There is everything from beginner kitesurf boards to experts. 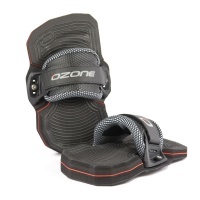 Spares are also available such as kiteboard straps and pads. If you have any questions or need advise for suitability please contact us. 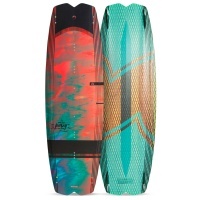 We currently stock a range of boards from Best Kiteboarding, Flyboards, Flexifoil and Brunotti whether you want a kite surf board for wave riding, something for flat water or a twintip board with a big rocker - we have it all! For all your wakestyle and freestyling needs, the Addict has the construction and performance required to suit the needs of newskool riders waiting for their debut! 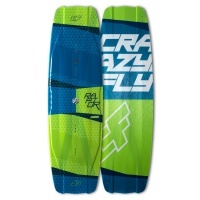 A personal favourite to the staff at ATBShop, the CrazyFly Cruiser is your go to board for light wind performance and often in our experience considered the session saver! 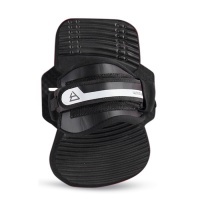 Comfort and adjustability defined for any shape or size of foot. The Hexa Binding can be moved in six different directions and can be adjusted quickly and easily! From the famous Hexa came the CrazyFly LTD Neon Hexa Bindings featuring all the same comfort and support only in a Neon and carbon design! Who would have thought this board can get any better? 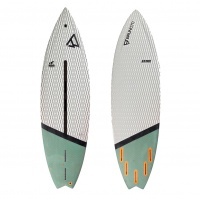 Now featuring a Nano Glide Skin base for a faster ride and upwind tracking ability with better grip on the water! The Raptor is back with enough features, enough carbon and enough neon to make you drool. 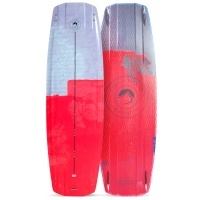 One of the best all around freestyle boards on the market now even better! Freeriding in light winds with no one else on the water is what the Flydoor 5 is all about. 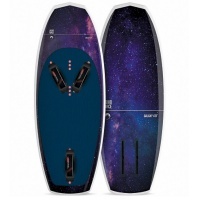 The latest door kitesurfing board from Flysurfer comes in 160cm & 170cm sizes. 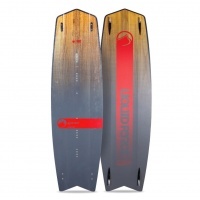 The Radical5 from Flyboards has been our Team's board of choice for years. 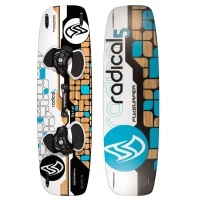 Big air, slashing around in waves & hitting flat water lagoons are a pleasure on the Radical. 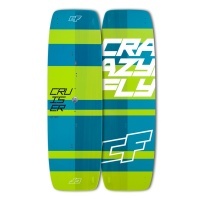 The Flysurfer Radical 6 has had big changes this time. Full wood core and dual concave base add to the asymmetrical profile and rocker of previous radicals. Always a favourite board of ours. 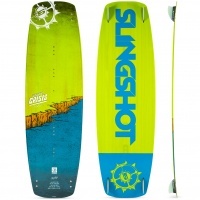 The Flysurfer Rush pushes into more freestyle wakestyle from the ever popular Radical. 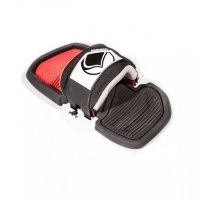 More aggressive pop, precision and control perfect for boots riders and unhooked riding. Pro model to 10x world champion Gisela Pulido the Benchmark kiteboard has been tailored to perfection after extensive testing to create the best female board ever! 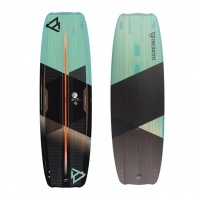 The LF Carbon Drive has been a highly appreciated member of the ATBShop family for some time now for its highly responsive and super lightweight underfoot feel. You need to see it to believe and ride it to never again fall back to regular boards. 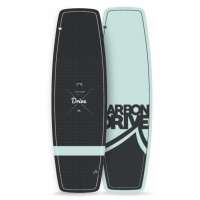 The Liquid Force Carbon Drive is a work of art and that's exactly how it rides. 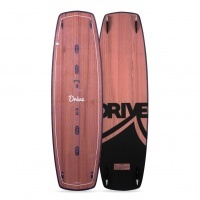 The Liquid Force Drive beautifully blends high quality construction and performance level riding suited for anyone beginner all the way up to intermediate. The Liquid Force Drive beautifully blends high quality construction and performance suited for anyone beginner all the way up to intermediate. 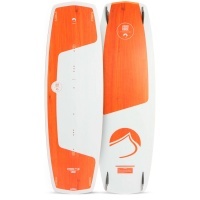 Smooth riding and durable board. 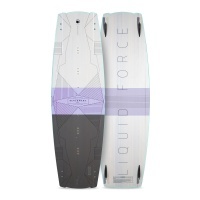 For all you wakestyle lovers looking for the perfect carryover board for the cable and the kite the Liquid Force Echo is the answer you have all been waiting for! 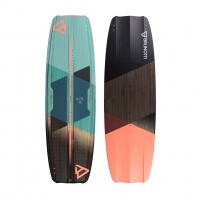 For wakestyle lovers looking for the perfect crossover board for the cable and the kite. 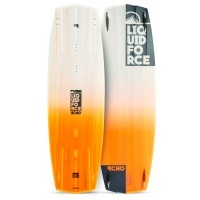 The Liquid Force Echo is getting a legendary following for full on kite wakeboard! 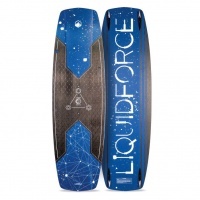 The Liquid Force Galaxy V2 Hydrofoil has a unique moulded lightweight and durable honeycomb carbon construction that steps the Galaxy away from other foil boards. A decade of high end design and legendary collaboration between Jason Slezak and Jimmy Redmon. The Legacy is your bomb proof freestyle and free ride machine! A decade of high end design and legendary collaboration between Jason Slezak and Jimmy Redmon. The 2019 Legacy is your bomb proof freestyle and free ride machine! 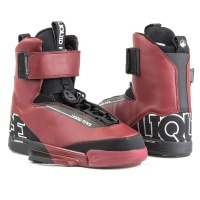 The LFK boot is a legend in kitesurf bindings a solid performing wake style boot built with kiteboarding in mind. 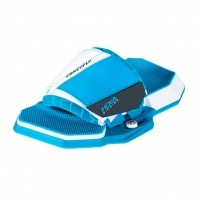 Comfortable as slippers when on but have the support where you need it. The Moon Patrol from Liquid Force is a twin tip with directional aspirations! It doesn't take it self to seriously and is all about having fun, jumping and carving it up. Dont be apart of the crowd that sits on the beach waiting for the wind to pick up. With the Liquid Force Over Drive there are no excuses not to get out on the water! The Liquid Force Pro Pads are the top end binding pads for kiteboarding from Liquid Force. Loads of adjustment in pads shape and position on the board as well as shock density! 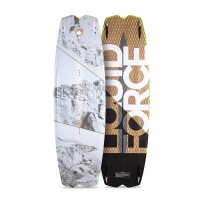 The Liquid Force Radnium is pushing the freestyle game to a new level. Moving on from the Element the radnium looks as good as it rides. Start racking up those podiums with the radnium! Looking to start your professional Hydrofoiling career as a beginner? 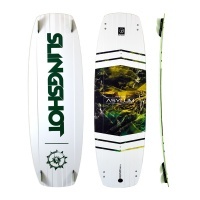 Then your going to want a beginner friendly board that is high performance yet affordable! 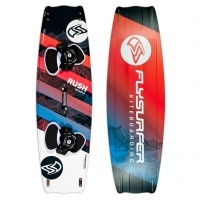 Push your progression with the Liquid Force Rocket Foil V2 and discover a whole new aspect of kitesurfing with this easy to ride, low aspect kitesurfing hydrofoil! 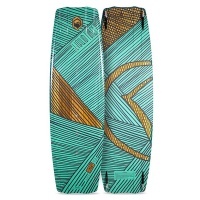 A tin tip, directional kiteboard designed with one purpose in mind; fun! Whatever your style, this board will make you feel like a kid again! The ultimate freeride experience at a price you cant argue with. 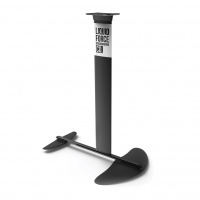 The LF Thruster Hydrofoil is a wing developed for rapid lift and pinnacle performance. It is finally here! The Ozone Code V1 Kiteboard in its first year of production sets the bar for outstanding free ride and freestyle riding! Ride progressive, ride hard and most importantly ride bold. 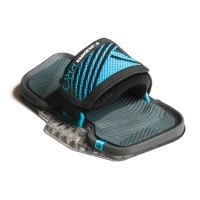 The Ozone Torque is the key to unlock your true freestyle, wakestyle potential. 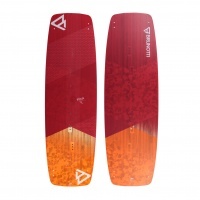 Sold board with fins and handle, bindings extra. 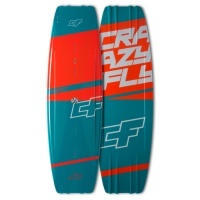 The Crazy Fly All Round board is perfect for kitesurfers just out of lessons and wanting to progress quickly but not grow out of their board too quickly. Affordability and fully adjustable comfort, just how we like it! 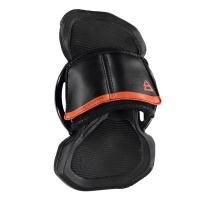 The Phase features and EVA foot pad with high grip while incorporating that much needed shock absorption!